In demand on five continents, Lortie has established long-term partnerships with orchestras such as the BBC Symphony Orchestra, BBC Philharmonic, Orchestre National de France and Dresden Philharmonic in Europe, and the Philadelphia Orchestra, Dallas Symphony, San Diego Symphony and St Louis Symphony in the US. In his native Canada he regularly performs with the major orchestras in Toronto, Vancouver, Montreal, Ottawa and Calgary. Further afield, collaborations include the Shanghai Symphony, where he was artist-in-residence in 2017-18, as well as the Hong Kong Philharmonic and the National Symphony Orchestra of Taiwan, and the Adelaide and Sydney Symphony Orchestras. Regular partnerships with conductors include, among others, Yannick Nézet-Séguin, Edward Gardner, Sir Andrew Davis, Jaap Van Zweden, Simone Young, Antoni Wit and Thierry Fischer. 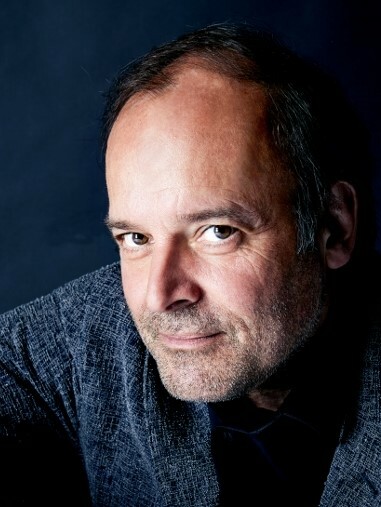 In recital and chamber music, Louis Lortie appears in the world’s most prestigious concert halls and festivals, including London’s Wigmore Hall, the Philharmonie de Paris, Carnegie Hall, Chicago Symphony Hall, the Beethovenfest Bonn and Liszt Festival Raiding. Lortie is co-founder and Artistic Director of the LacMus International Festival on Lake Como and a Master in Residence at The Queen Elisabeth Music Chapel of Brussels. Together with fellow pianist Hélène Mercier, as the Lortie-Mercier duo, he has also shed new light on the repertoire for four hands and two pianos both in the concert hall and on several best-selling recordings. A prolific recording artist, Lortie’s thirty-year relationship with Chandos Records has produced a catalogue of over 45 recordings on the label, covering repertoire from Mozart to Stravinsky, including a complete Beethoven sonata cycle and the complete Liszt ‘Années de pèlerinage’, which was named as one of the top ten recordings of 2012 by the New Yorker. His recording of the Lutosławski Piano Concerto with Edward Gardner and the BBC Symphony Orchestra received high praise, as have his Chopin recordings (part of an ongoing project with Chandos to record all of Chopin’s solo piano music), one having been named among the Recordings of the Year in 2012 by the New York Times, while his Chopin Waltzes were described by Fanfare Magazine as ‘Chopin playing of sublime genius’. In duet with Hélène Mercier, he recorded Carnival of the Animals with Neeme Jarvi and the Bergen Philharmonic and Vaughan-Williams’ Concerto for Two Pianos as well as Rachmaninov’s complete works for two pianos. Current recording projects for future release feature Saint-Saëns’ works for piano and orchestra with the BBC Philharmonic, and Fauré’s piano works. He has also recorded two acclaimed CDs with violinist Augustin Dumay for Onyx Classics. Louis Lortie studied in Montreal with Yvonne Hubert (a pupil of the legendary Alfred Cortot), in Vienna with Beethoven specialist Dieter Weber, and subsequently with Schnabel disciple Leon Fleisher. In 1984, he won First Prize in the Busoni Competition and the same year he was a prizewinner at the Leeds Competition.